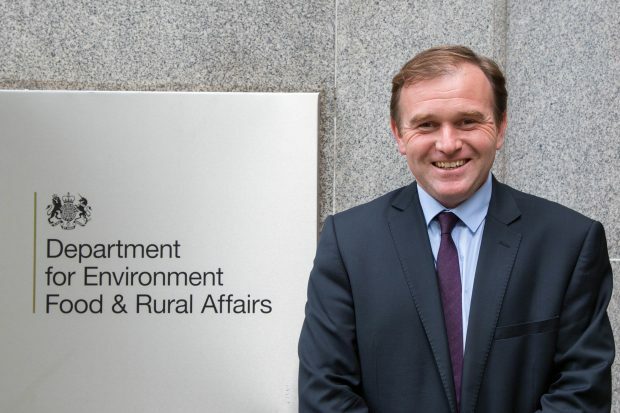 Yesterday the Farming Minister George Eustice spoke at the World Agri-Tech Innovation Summit. He addressed the opportunities leaving the EU brings - the opportunity to design a new agricultural policy from first principles, fusing together traditional farming practices and new science, helping farmers overcome age-old barriers like soil erosion and plant pests and diseases. To support this, 122 agri-tech projects have already benefited from £93 million in government and industry funding as part of our wider £160m agri-tech Strategy to boost farm innovation. We are also exporting home-grown solutions, attracting over £550 million of major investment into the UK economy, creating nearly 1000 new jobs and generating £385 million of overseas trade. We will continue to back our world leading food and farming industry to stay ahead of the curve on farming innovation, so that they can take full advantage of the golden opportunities ahead to grow, sell and export even more of fantastic British produce. Today the Guardian published an article looking at the UK withdrawal bill and what it could mean for environment policy. Here is our response in full. Our ambition is to be the first generation to leave the environment in a better state than we found it. The decision to leave the European Union creates new opportunities for a Green Brexit and to enhance our environmental standards. We now have the chance to deliver higher standards of animal welfare and reform how we manage our land, rivers and seas. The Guardian today reported on a pre-action letter sent to the government by environmental campaign group Client Earth criticising its latest air quality plan. Designed to tackle nitrogen dioxide emissions, The UK Plan for Tackling Roadside Nitrogen Dioxide Concentrations was produced by Defra and the Department for Transport and published in July. The department will respond to the letter in due course.